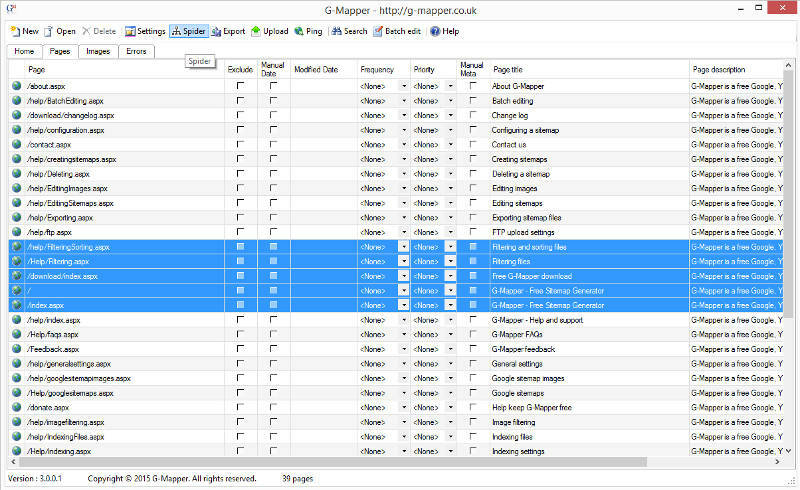 G-Mapper is a free, unlimited, HTML, RSS and Google XML Sitemap generator compatible with all major search engines including Google, Bing, Baidu, Yandex and more. Sitemaps tell search engines when and how often pages are updated, and their relative importance to improve your website coverage and ranking. If you are using WordPress you may prefer our WordPress Sitemap Generator Plugin which offers configurability for categories, tags, posts and pages as well as automatic pinging. Please select an amount and click the button. If you are looking for simple, free online alternative try Xml Sitemap Generator .org. The most advanced free online sitemap generator.